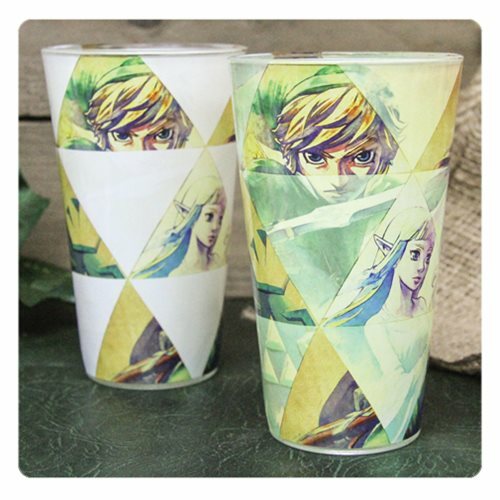 Shopping for Legend of Zelda Pint Glasses? The Legend of Zelda fans can now rejoice! The Legend of Zelda Hyrule Color Change Pint Glass features a fantastic image that appears when a cold drink is added, creating a magical and mysterious effect. The Legend of Zelda Hyrule Color Change Pint Glass is a must have fans of the classic video game. Hand wash only. Not dishwasher safe. Do not microwave.